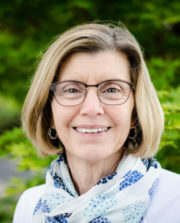 Jeri Beckstedt heads the administrative team for the firm and is responsible for the daily operations of the Cincinnati and San Jose offices. She coordinates the clerical support for our staff of consultants in both the East and West offices and oversees the production of all proposals, reports, and other project documents. Jeri is in charge of the company’s human resources including benefit plans, provides guidance for the firm’s information technology and communication needs, serves as the computer support help desk, and processes client contracts. Jeri has been with Management Partners since September of 1997.